For most of us, we’ve had to ask for permission our entire lives. Beginning with our parents or caregivers, then our teachers and professors, and from there our superiors in the workplace. Asking for permission in our day-to-day seems to be the norm, but what happens when it begins to trickle into our personal lives and the decisions that affect our happiness? In these instances, we start leaning on our friends, co-workers, and loved ones to make decisions we can actually make on our own. Decisions like speaking up, whether we should go out or stay in, pick up a new hobby, start that business plan, or purchase those trendy jeans. It’s as though these choices are less about our own aspirations and more so about acceptance from others. The truth is: The only person we need approval from is ourselves. Looking inward to give ourselves permission to do and feel may be the key to unlock the fulfillment we desire. The only person we need approval from is ourselves. When it comes to unearthing your full potential, you can benefit from taking a step back to assess what you want and instead of asking for permission—giving it to yourself. Give yourself permission to indulge in day-to-day needs and desires. 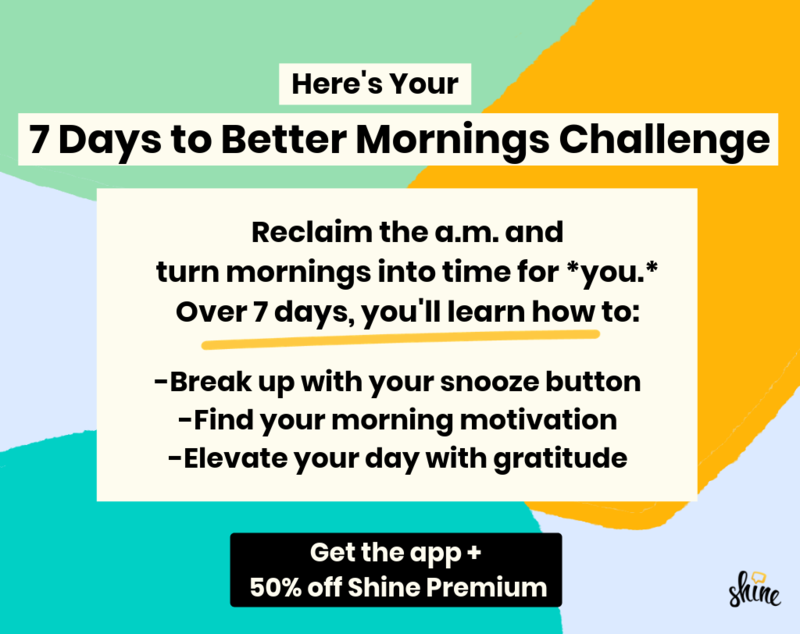 Whether it’s getting a new haircut, starting a blog, going on a solo vacation, or simply choosing when to say "no"—it’s important that you're the one to give yourself the green light on a regular basis. I learned this lesson firsthand. For the past year, I’ve been freelancing, which means my finances have been pretty tight. I’ve put myself on a strict budget and done my best to stick to it consistently. But recently, it got to the point in which I was putting out so much work and not partaking in the things I once enjoyed, not even in the slightest, and it left me feeling restricted and unhappy. So, I decided that I had to give myself permission to, well, treat myself every once in a while. Whether that’s bi-weekly manicures or buying instead of making my own lunch once a week—it feels good to give myself the permission to indulge in some things that make me happy, no matter how tiny the splurge. Often times, our anxiety about putting ourselves out there is driven by our fear of failure. Taking healthy risks are necessary when it comes to getting ahead, and failure will only help you get to where you want to go. Give yourself permission to be imperfect. It can quite possibly bring about more than you’d ever previously imagined. Give yourself permission to be happy and sad. Celebrate when you’ve done something well. Genuinely accept compliments from others. Share your good news. It’s okay to give yourself the space to bask in your most joyful moments and be your biggest cheerleader! On the other hand, when you aren’t feeling so great—that’s OK too. Lean into these feelings and get an understanding of why you feel that way. Also, know that you are allowed to be sad or feel hurt by things—you’re human. Emotion is inevitable, and no one feels happiness 24⁄7. You might even feel sad and happy at the same time (ah, the joy of mixed emotions!). Fighting off emotions is more exhausting than simply accepting them, so it just isn’t worth it. Give yourself permission to dream big and aim high. This means to live for the things you love so you can become who you want to be—not who others expect you to be. There is nothing wrong with having goals and aspirations that others may consider “lofty." How will you see your full potential if you don’t aim high? Giving yourself permission to see what you're capable of is one of the most rewarding types of self-care. Give yourself a permission slip. Once that's done, make it your phone background or find a prominent place to stick that post-it—like your bathroom mirror or in your planner. 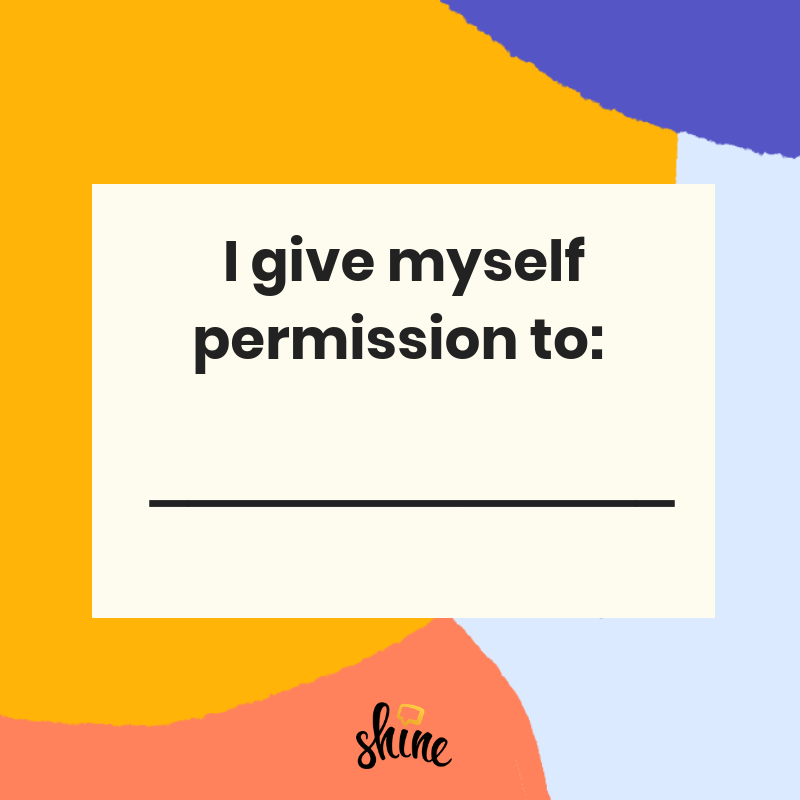 Giving ourselves permission lets us challenge the self-limiting beliefs we all carry and lets us know it’s OK to go for what we know we deserve.